As a Kent MP, I remember the height of the asylum crisis fifteen years ago, and the role then played by the Sangatte camp near Calais. Sangatte offered a launching pad to hundreds of thousands of illegal immigrants to try again and again to enter Britain illegally. 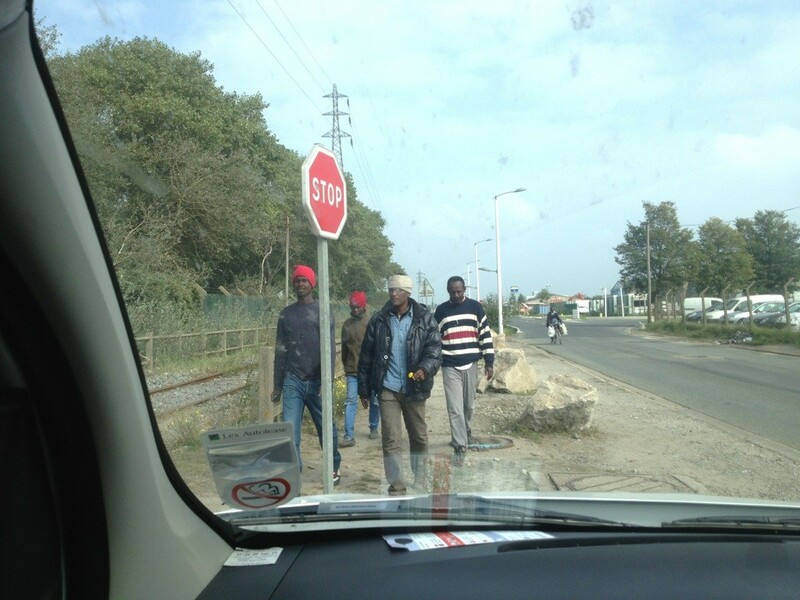 It therefore drew many migrants to Calais to try an illegal crossing into our country. Over a decade on, France’s establishment of Sangatte Two, is a terrible defeat for this government’s immigration policy. The French have ignored the pleas of the Prime Minister, his ministers and successive UK governments. When I asked the minister what the effect of this new camp would be, he said it was a matter for the French authorities. However, he will have tried to stop the French building it and, like me, he knows that it can only result in a further surge of illegal immigrants coming our way. For the French too, as I saw on a recent visit to Calais, building a new camp will only make the situation worse. It can be heart-breaking to meet the bands of mainly single men from Africa who sleep out around Calais. However, supporting illegal immigrants in camps, while they try to break into the port and hide under lorries, or even in the back of returning tourists’ cars, will only attract more. What the French need to do is to get tough with their EU partners with whom they decided to share a common borders area called Schengen. The UK decided to stay out for now, but it affects us nonetheless. In Calais I met one young man called Peter. He told me he had come from Eritrea via Libya, where Gadaffi no longer stops the boats, to Italy. Peter landed on the Italian island near Africa called Lampedusa. Rather than dealing with him there or sending him back to where he had come from, the Italians took him to the city of Bologna in northern Italy and left him by the railway station. Inevitably, Peter caught a Bologna train to Paris, and on to Calais. Peter then tried night after night to cross to Britain. I suspect he now has. The EU and human rights laws are not working. It is time we became independent, so we can better turn back illegal immigrants, but also insist EU migrants meet UKIP’s skills based, Australian style points based immigration system. This entry was posted in Immigration and tagged conservatives, Europe, Immigration, Kent, mark reckless, politics, rochester and strood, UKIP. Bookmark the permalink. Diane Neale – thank god he is obsessed with it, because no one else is! At last we have a voice in the Houses of Parliament who draws attention to all the illegal immigrants residing in France who relentlessly attempt to cross into the uk! Diane Neale, Perhaps you would enlighten us as to why you see it fit to condone this and what is the benefit to the UK and/or the immigrants come to that ? This is a big issue and he is right to seek to address it. Open your eyes lady,when I walk down the English streets I feel like I am abroad not my home country……Thank goodness someone else has the balls to say this out load …. @Diane Neal – Are you willing to adopt an illegal then? because I don’t want any more of my hard earned cash being spent on these people. I like to choose the charities that I support. I was living in Kent 15 years ago and Mark is right in what he says. To fxxxing late now. This country has had it. My grand kids future n many of our generations to come. Holy war.? This is just one of the reasons why we need as many UKIP MPs in The Houses of Parliament…many voices to be heard…to point out what is right and what should be done. To wake more people up to what is and has been happening in the other parties…to shame them into being even slightly honest. They wont be able to lie so much when their untruths and scheming is pointed out (Which UKIP will certainly do) and the mass media wont be able to cherry pick so much. Okay so we wont have enough seats to form a government this election but come 2020 (we don’t have enough years behind us yet) without doubt it WILL BE a UKIP Government…I just hope i’m still around to see it! A vote for UKIP is NOT a wasted vote it is a step to freedom. κῦδος…Kudos to you Mr Reckless. Diane Neale : It is because of the emergence of this group of British people like you, who since the 60’s have adopted an attitude of either ‘burying their head in the sand’ or actually believing their is a ‘utopia where everyone can live together in harmony’ that we are now struggling to hold into a real National Identity. We are being culturally raped by opportunist people from all over the world and most of which have no respect for our Country. Your kids and grand kids will want answers eventually and whereas we can proudly discuss what our former generations did for us today . . What are you going to say when your country is a Muslim State or at the best a White British Minority country. I say this because if nothing is done we are only 25 years away from this and that is a scientific fact ! only people from the EU can move freely within the EU (including Brits) these people are non European and come here and claim asylum, if their case fails they only then become illegal. this is a French problem and the UK government must help other EU countries deal with these people escaping war torn countries, not help them come to UK. The UK must though take its share of asylum seekers, and remove illegal (failed asylum seekers). If Italy is in the EU they should obey to EU law – which meant they should be sending this bloke back to Africa – but they didn’t! which is why we must get out of the EU NOW – every immirgrant in Calais trying to get to Britain has passed through other eu borders – the whole system is corrupt and fraud – by leaving the EU we might have a chance of getting Britain back to GREAT BRITAIN! Open comment to all above…. Most migrants without papers entered Europe through Greece, Italy or Sicily. technically therefore should be processed and remain there; but for the same reasons, ( and because the local national economies are collapsing and they cannot afford to provide for the illegals), they do not fingerprint or record unless absolutely necessary and guide them towards the exits….most illegals dont have money for train fares but that is no deterent and they take a free ride, even in many stages, through France to Calais, Belgium, Germany or Scandinavia. It’s a borderless Europe here and if detected, the rail authorities can only remove them from the train; how would you prosecute a ‘vagrant’ particularly if you actually dont want to take on their immigration process costs ? It’s a massive local problem here in Calais from a humanitarian aid point of view, but unfortunately Europe as a federation of states is in its infancy without a politically empowered central leadership and of course,- its ‘ flat broke’ in the wrong places. Fortex is an excellent institution but underfunded and without the collective set of ‘teeth’ politically it would need to take its part in a ‘joined-up’ process of adequately dealing effectively with the illegal immigration tidal-wave of thousands per week arriving on Europes’ shores. I am British and overtly proud of my Country, although I personally am commited to working in humanitarian support here in the Calais ‘jungles’, I recognise absolutely that illegal immigration undermines the society in which we live, wherever that is within Europe. I am convinced that a political sea change in the UK is vital ;so It’s only by supporting active, informed politicians like Mark Reckless with your vote that a calm, knowledgeable but effective way forward can be formulated and achieved in dealing with this growing problem.